Why do you want to learn to buy and sell ? You would like to kick start investing or building wealth by purchasing and selling some financial assets. Who will benefit from this article? This article is best suited for the beginners who have no idea how to get started buying and selling stocks. They have heard that they can purchase this stock, that stock, these REITs and STI ETF but have no idea how to absolutely get started. After learning that you need to build wealth, you want to know how you go about owning financial assets. Financial Assets are the instruments that you purchase, hoping that they provide you with a good returns. Here are some financial assets that can be bought and sold. A stock is a single or batch of shares which gives you ownership to a business that is listed. You have used and enjoy the products and services of Singtel, Old Chang Kee, Jumbo Seafood, Starhub, Capitaland and would like to participate in becoming a shareholder to own a small part of this business. 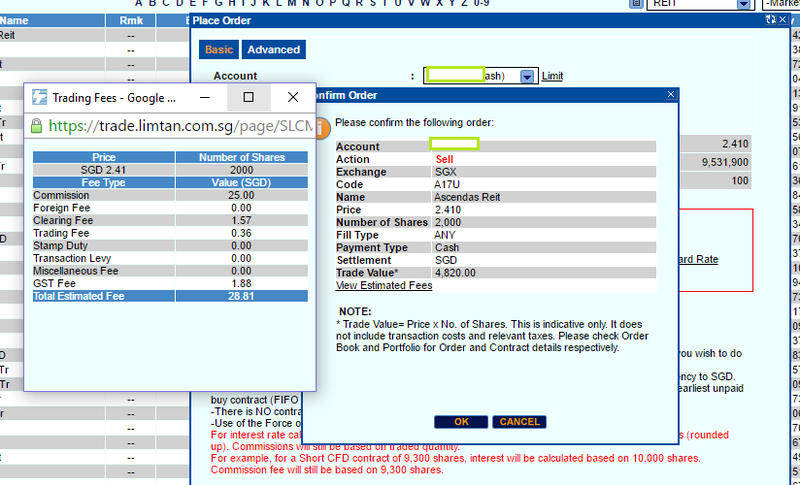 If you got to SGX.com > Stocks, you would be able to see what are the businesses that are listed that you can buy or sell. Those businesses will be listed on the Singapore Stock Exchange. Bonds are IOUs or Debts that companies and businesses issue to you, you hand over the cash to them. In return, they pay you a coupon semi annually. At the end of the loan term, the bond issuer returns you the principal. 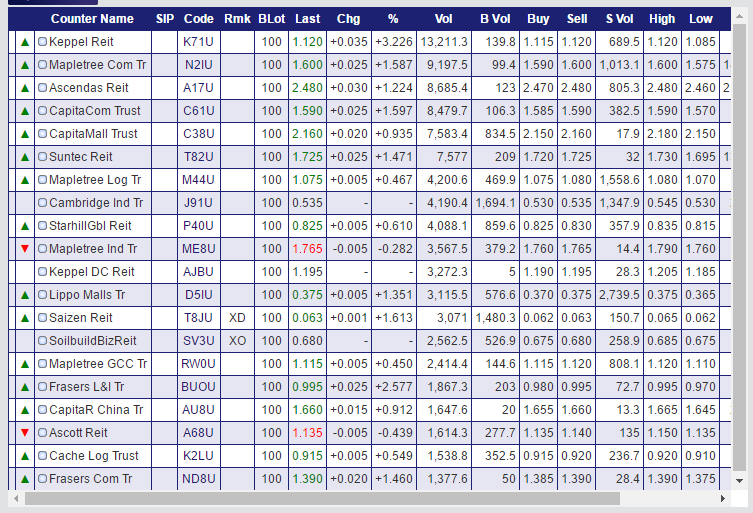 On SGX.com , you can see some bonds that are listed that are accessible to investors like yourself. There are much more bonds in Singapore, but they are usually not accessible to us. For example, the first bond is issued by FCL, which is a business listed on SGX. If you purchase this bond, you take over as the debt holder and get paid the coupon. The last price is $1.003, and you have to calculate your yield to maturity. The default issue value for bonds typically is $1.00. 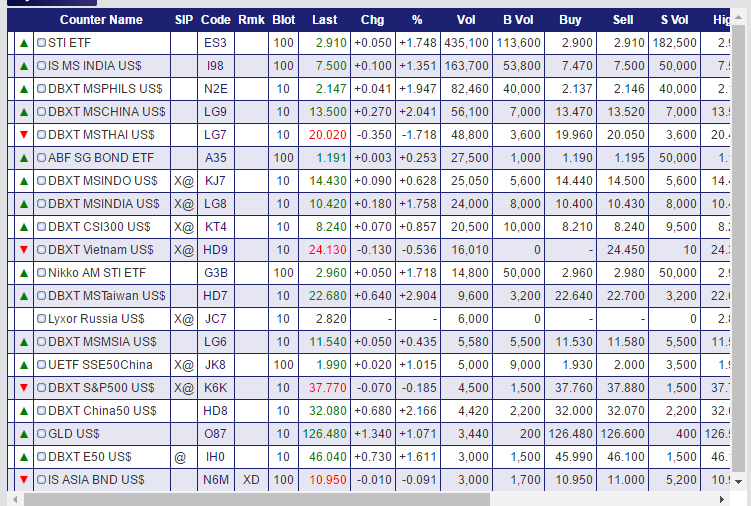 So if a bond is below that, like AspialTrea and Hyflux at $0.954 and $0.95 they are below the issue price. 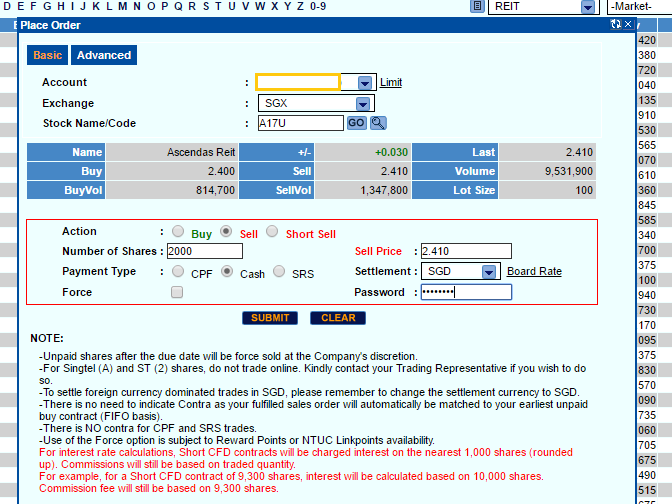 You can also find preference shares of companies listed on SGX.com . Preference shares are like your stocks. They belong to the equity part of the balance sheet instead of debt. They are hybrid between bonds and equity and typically have bond like qualities. 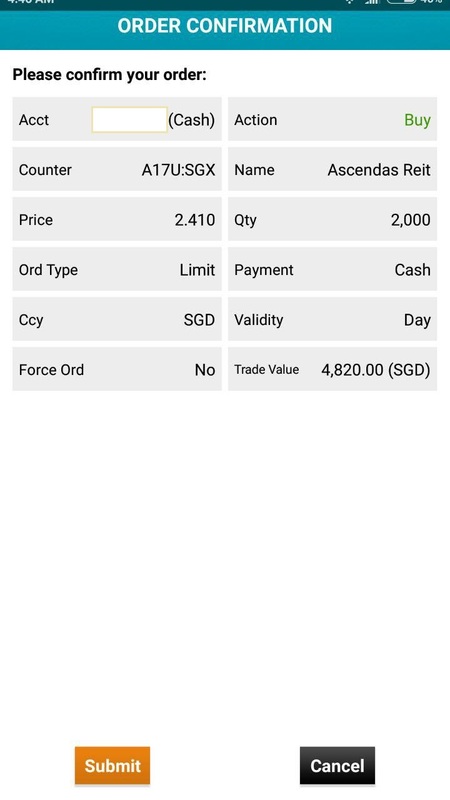 You can also find issued Singapore Government Bonds on SGX.com that you can purchase. 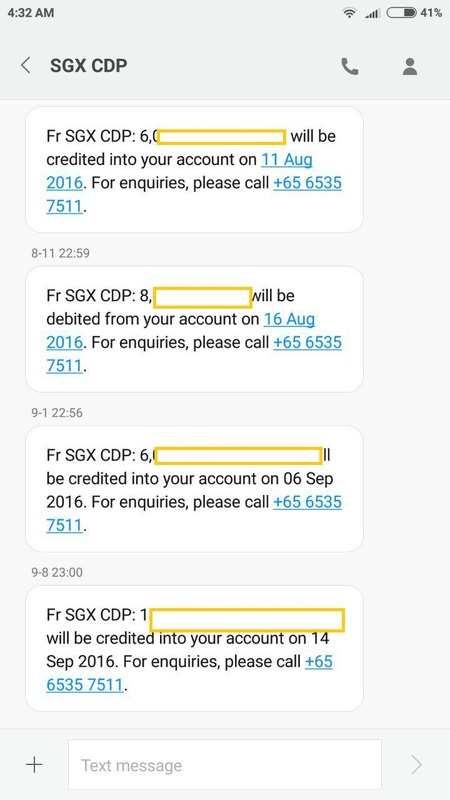 These are debts that the Singapore Government issue to you, with different duration. You can find real estate investment trust listed on SGX.com as well. REITs are a pool of properties you come across often, be it shopping malls, commercial buildings, logistical warehouses. A manager manages these properties for you, finance these property partly by debts. By buying these REITs, you are able to earn a dividend payment but also gain or lose share price appreciation. Exchange Traded Funds are like Listed Unit Trusts, which you may be familiar with. In a unit trust, you have a manager that takes your money and buy, sell and manage a pool of stocks or bonds based on the theme they set out to do. ETF are like unit trust, but they are listed, and that instead of a human manager, you have a machine that manages it. Their idea is to track the indexes that the unit trust is suppose to beat. You will be familiar with some of the indexes. If you are a Singaporean, you may be familiar with the Straits Times Index (STI), there is an ETF called STI ETF to track that. If you are into gold, there is a GLD ETF. If you want exposure to the top china firms, there is a China 50 Index. ETFs allows you to gain exposure to various markets, and unlike unit trust, their performance should be close to what the index do. You will not get a situation where you see the index go up 4% only to see your unit trust only go up 1%, because the manager keeps more cash as he is pessimistic on the current situation. As these ETF owns a basket of stocks, if the stocks distribute dividends, your ETF also distributes dividends. The STI ETF depending on the price was paying 2%-4% dividends. SGX is not the only stock exchange in the world. There are other exchanges around the world. And you might be interest in buying stocks in the USA, Spain or UK. So how do we start buying these securities? Let me explain to you how the main components work, to give you a better idea and enhance your understanding. As an individual investor, you sign up with a broker so that you can buy and sell securities. Broker works in brokerages and they act as the middle man to help you transact the buy and sell transactions. They also provide other services such as information, reports on stocks, custodian services. In these firms, they have brokers working for them, which provide you with the services. However, in this time and age, you can do most of these stuff over the internet on your computer desktop or your mobile phone. How does the interaction work? Let’s take a look at what happens when you want to buy some local securities. The broker here can be either of the brokerages/broker that I mentioned. The other party is the stock exchange, in this case SGX. What is a custodian account? 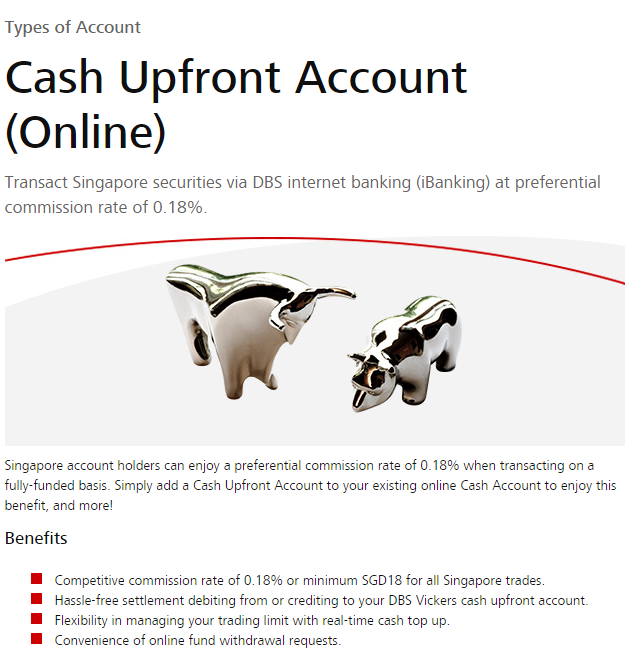 The Central Depository Pte Limited (“CDP”) is a wholly owned subsidiary of the Singapore Exchange Ltd (“SGX”). We provide integrated clearing, settlement and depository facilities for our customers in the Singapore Securities Market, including both equities and fixed income instruments. 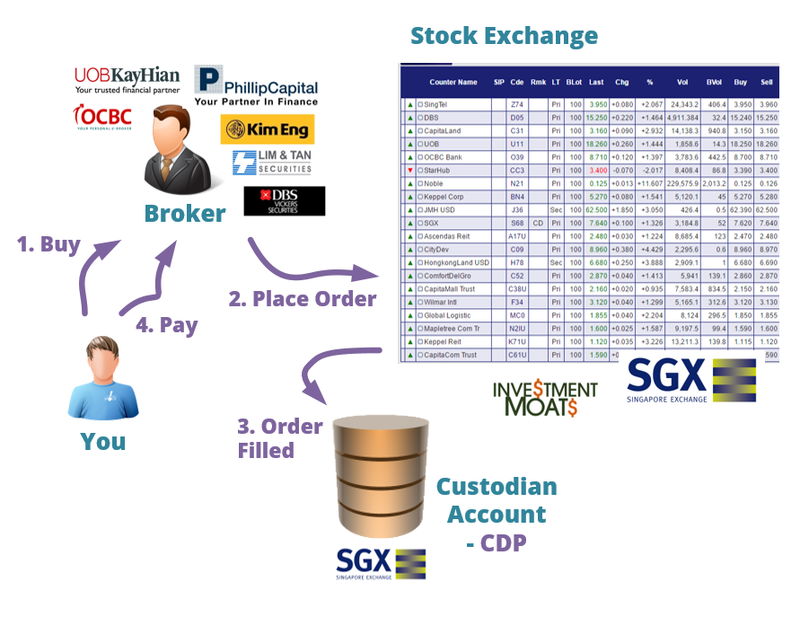 CDP is rather specific to Singaporeans and only stores shares listed on the SGX and not shares from foreign exchanges. When you want to sell the securities it is rather similar to that of the buy process but in the opposite direction. That is the sell process. We have settled how buying and selling works for the securities listed on the Singapore Stock Exchange. What about a purchase of securities from an overseas exchange? That is possible. But first you need to make sure that your broker allows you to trade in the overseas exchange. Most brokers allows you to buy and sell on USA exchanges. After that which other exchanges greatly differs. Do check each of the brokers and what are the cost associated. There are some setup process that you need to go through in order to get started. The most common way to open a brokerage account is to find the broker, print out the application form, and then to mail it. It is still rather primitive in Singapore unfortunately. Most of them will either ask you to go down to create an account or mail the forms in. Note: If you wish to trade in the USA, you will need to fill in a W-8 Ben form (which declares your withholding tax status). Apply for Internet Trading and Mobile Trading. It is more convenient this way. Link to Interbank GIRO. This is so that after you made a buy transaction that is filled, you can use your bank account to pay for the shares with Electronic Payment of Shares (EPS) option. Link to your existing CDP account. If you do not have a CDP account, get the brokerage firm to help you create and link to one. There are some bureaucratic steps you need to do. In order for MAS to determine that you are knowledgeable in the products provided such as REITs, Stocks, Bonds and Especially ETFs, you have to do an online test. Fill up the Customer Account Review Form. The form will ask if you are trained in finance or in the finance field. If you are not, you will need to take a test. Note: This whole Step 2 can be performed before opening the Online Account. It is independent of whether you open a brokerage account. Hey, perhaps you can do this right now! Once the application have been submitted, it will take some time for your account to be processed. All you can do is wait. In the mean time, do read through some of the resources your brokerage have provided on how to use their system. 4. Receiving your Account ID, Password, Pin…..
Over a period of time, you will received what you need to start trading securities from the brokerage and CDP in your snail mail account. If you already have an existing CDP account, or OneKey 2FA Token, you might need to ensure that these are linked to this new brokerage account. Next, you need to check that you can access the various platforms, and make use of the services with your new credentials. Go to the trading web portal of your brokerage and see if you can play around with it. Download the mobile application from Google Play or Apple’s AppStore, login to the account to see if you can access and play around with it. Once this is done, you are almost ready for your first transaction. With the accounts infrastructure up, you can actually buy and sell the stocks, bonds and REITs you want. 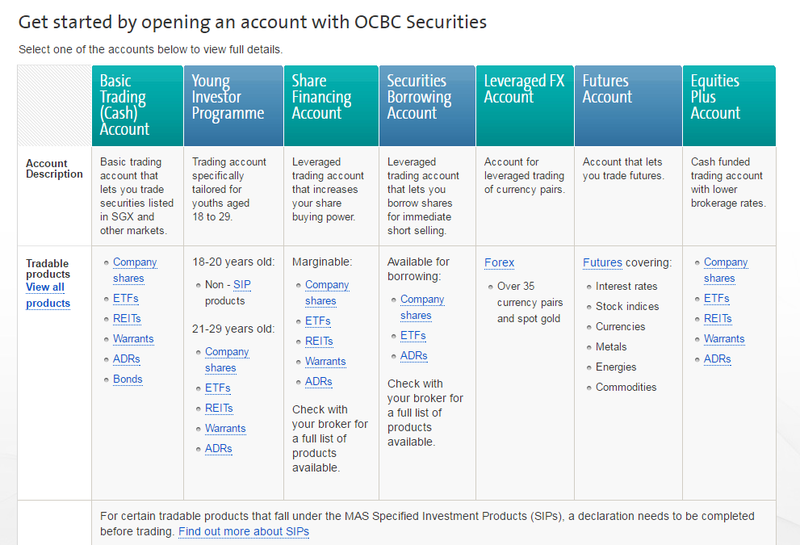 To find out what you can trade, you can tune in to SGX.com, to see what are the listed securities. There are also many third party applications on the web, or on mobile that list and inventorize what you can purchase and sell more intuitively then the SGX website. Your brokerage platform will have something similar, but their price changes when trading will be closer to Live. You will be able to see the prices flashing green when it moves up and red when it moves down. You can do a search for Ascendas REIT. 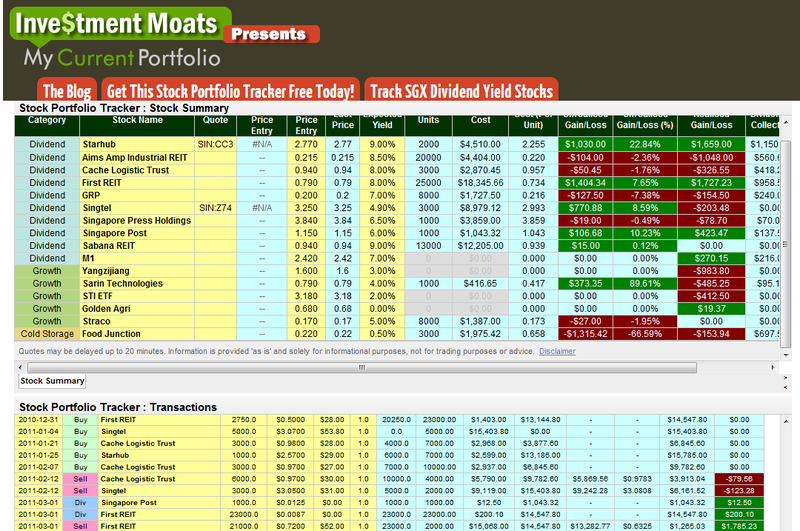 In this screen shot, I set up a watch list that captures a list of REITs. 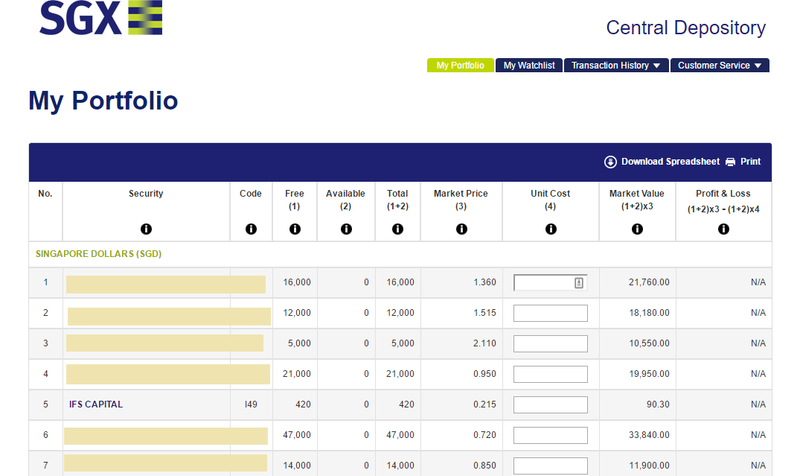 Right click on the name Ascendas REIT and you can select to Buy. enter the Number of Shares you wish to purchase. 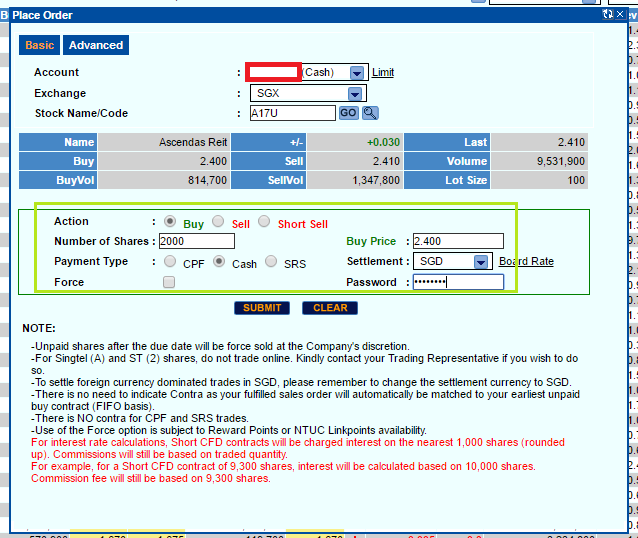 In Singapore 1 lot is currently 100 shares. You will then be shown a summary of the order. Do a check to ensure that is the amount you wish to purchase. Some folks didn’t check and will buy $48,000 worth instead of $4,800. Every transaction will cost commission. Do review and check to make sure your trade is cost efficient (we will discuss this later. Once you click ok, the order is submitted. You can go over to Order Book to view whether your buy purchase have been filled, and the status of your transaction. Let us take a look at how you would do a buy order on your mobile platform. 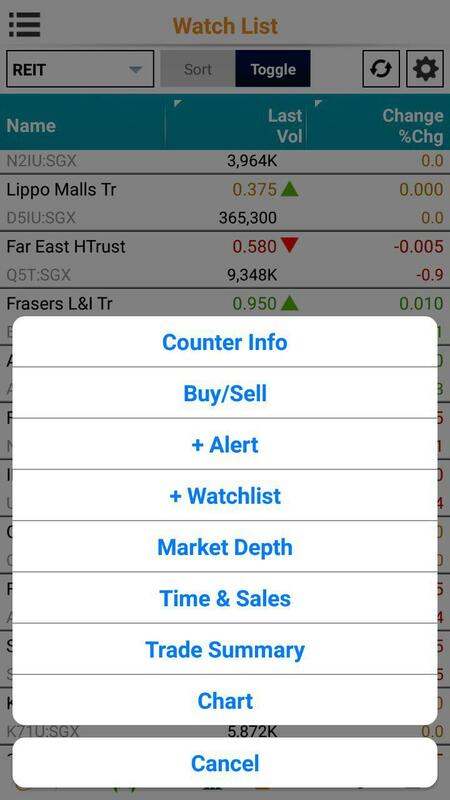 It might look a little different but on your mobile platform, you can also find the stock Ascendas REIT. When you touch on it, you will see the options available to you. You then fill up the transaction like you would on the desktop platform. Important Note: In some platforms, the interface is not very intuitive. If you select CPF, it might jump back to Cash. Review your order. Make sure this is what you want. 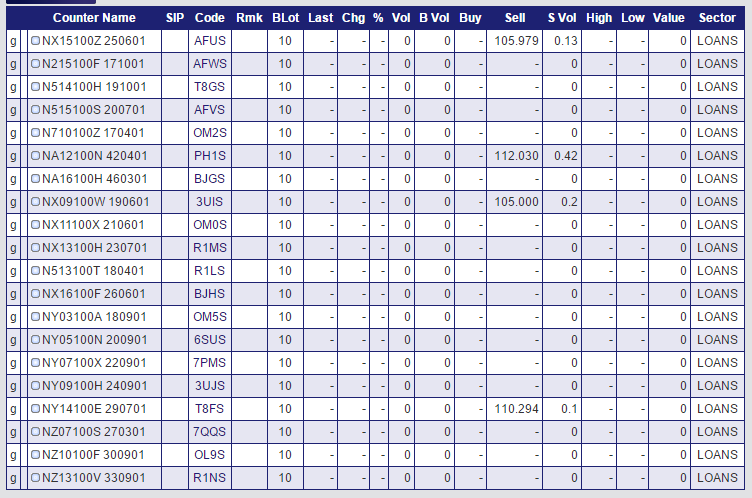 You can then take a look at your Order Book as well. 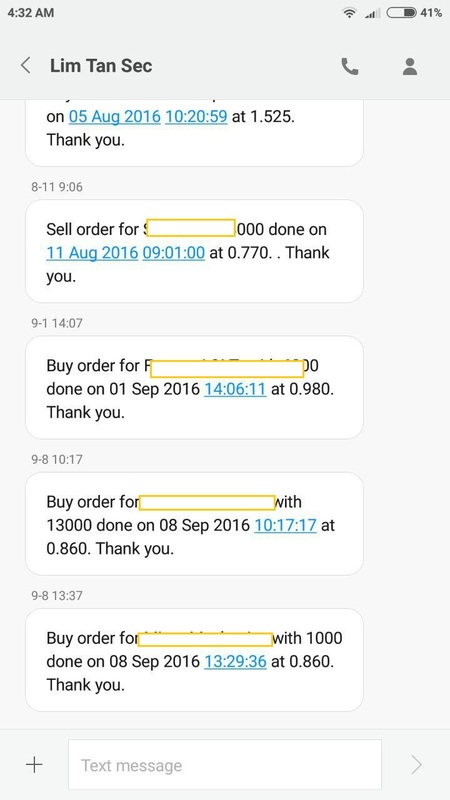 Once the buy order is matched by someone who will sell you at that price, most platforms will send out an SMS alert to inform you the order have been filled. At night, you will received an SMS that indicates how many shares are credited into your CDP account. You will also received an email notifying you the transaction. Selling through your brokerage platform is almost similar, except instead of Buy you choose to sell. Important note of difference between Normal Sell and Short Sell: Before you sell, please know how much stock/units you have on the stocks you are going to sell. Why is this important? There is a normal sell and there is short sell. Say you own 8000 shares of Singtel. If you enter to sell 8000, everything is ok. This is treated as a normal sell. However, if you key wrongly and sell 10,000, the transaction will still go through. However, your broker is treating that you own 8000 shares and you sell it AND 2000 shares you do not own but you sell it. You will be borrowing 2000 shares from someone else, and you have to buy back to return to that person. So if your intention is to sell off what you own only, please know how much you own in your CDP or custodian account. You will also key in how much you wish to sell, at what price and what is the payment type. Note the difference between Sell and Short Sell. Review your order and add it to the order list. You may ask the question how come when I click buy, the order doesn’t get filled. To answer that question, you need to understand the stock market. The stock market is like a fish market. The fish monger tries to sell you the first at $15.00. You would think “this is too expensive! I am not going to buy at that price!” And then you will bargain that you will buy the fish at $13.00. The fish monger might relent or might not sell you at that price. The stock market is the same. Here is an illustration of our Ascendas REIT example. Visualize that there is a Buy Queue and a Sell Queue. The Last price at $2.41 indicates the last transacted price. But you as the buy have the option to queue along near this price. There are people queuing at $2.35, there are people queuing at $2.39. Likewise, there are people queuing at the sell side, to sell at different prices. 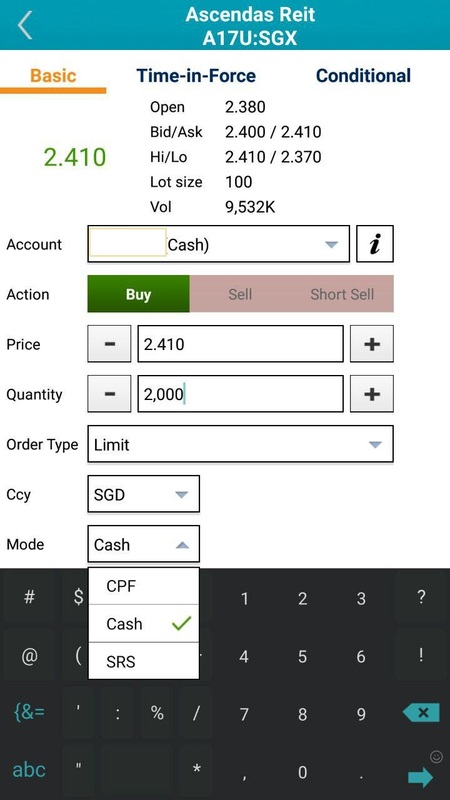 If you are desperate to secure your order, you would put in an order to buy at $2.41, and since there are enough volume selling at $2.41, your order gets executed immediately. So the stock exchange is who is more impatient to sell down, or buy up. If you queue at $2.41, and the sellers are steadfast and not willing to budge, your order might not fill for the whole day, and the order ends up expired. You don’t have to pay commission for this. However, if the volume is not enough, and your order is too big, your order might be partially filled, meanings some of your order is not fulfilled. You need to pay commission. Sometimes the minimum commission divide by a small fill (e.g. $1000) might make your commission cost % to look very costly. In this example we have a very illiquid stock Global Testing. They only have 35 million shares in the market. The highest price people are queuing to buy is at $1.05. The lowest price people are queuing to sell is $1.115. And the volume of shares queuing at those prices are so low. It is very hard to get filled. This is a nightmare for investors with large capital and if they want the stock, they may end up moving the market by buying up. Make Sure you Optimize your Buy and Sell Commissions! Whether it is a buy transaction or a sell transaction there is a commission. For various exchanges, due to different currencies, the commission amount is different. There is a minimum commission that if the commission for the transaction is too low, they will want you to pay the minimum. For most local stocks, it usually comes up to $29. If its more than that its like 0.18% to 0.25%. Cost is a factor in the long run, and it is wise that you size your trades accordingly to optimize the cost. For myself, I try not to pay higher than 0.5% (0.005) for a purchase. 1000 shares of Ascendas REIT at 2.41 will cost you $2410. Your commission % is 29/2410 = 1.2%. This is expensive. 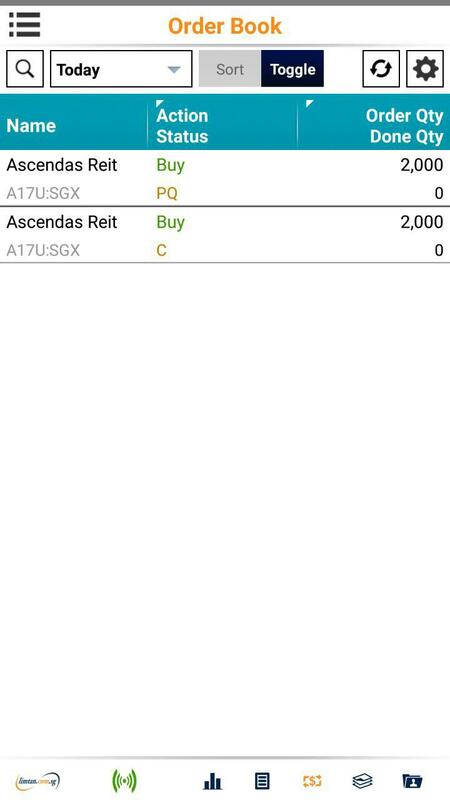 If you purchase 3000 shares of Ascendas REIT at $2.41, it will cost you $7230. Your commission % is 29/7230 = 0.4%. Much more manageable. If your order is partially filled, what might be 3000 shares, might turned out to be 1000 shares, and your commission % will be 1.2% instead of 0.4%, which was what you plan for. Typically, your broker will want you to settle the payment for the buy order in 3 working days. You can pay through ATM. That is old school. Most people nowadays pay through their banking platform using Electronic Payment for Shares (EPS). 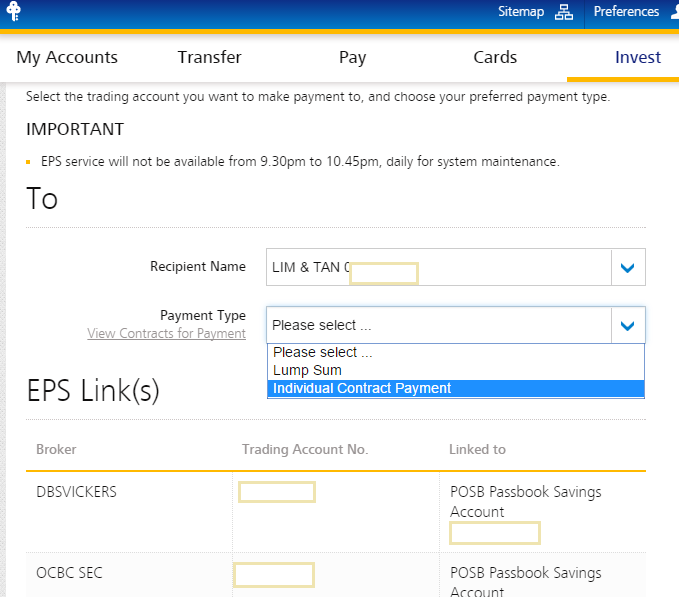 In the above screen shot, you can see where to find the option if you are using POSB. There will be many accounts linked to one bank. Select the account under Recipient Name. Then choose Lump Sum or Individual Contract Payment. When you select Individual Contract Payment, the securities and its cost is listed in another screen and you can select it and pay for that. Use Lump Sum, if you did a contra trade, or you are confident you know how much your shares cost in total. Your broker will receive this and he will allocate it accordingly. For proceeds from a sale, if its SGD, they will automatically deposit into your designated bank account. In the screen shot above, you can see the proceeds from dividends deposited. Have to apologize but that is not Proceeds from Sale, but are payments made for share purchases. Take a look at this example from Kim Eng. 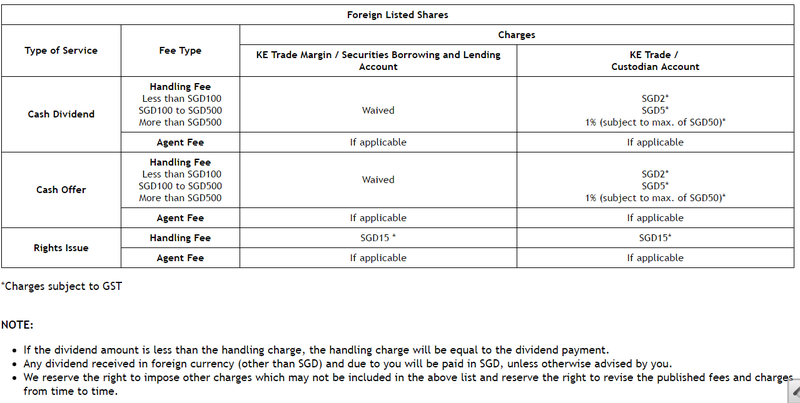 Under their KE Trade Prefunded / Custodian Account, there is a custody fee of SG$2 per counter per month. This is waive if you make more trades. 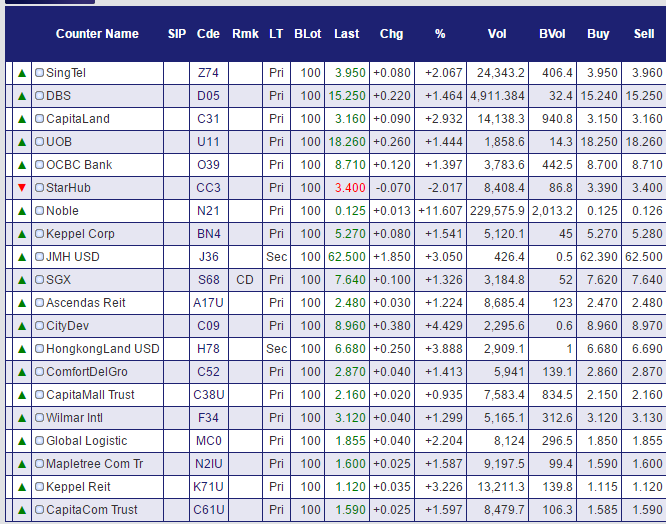 Here is the table for some other form of corporate action. There is at least a 1% fee on your dividends. There are also fee to handle rights issue. Which is why it makes handling rights issue as an overseas investor to be frustrating. 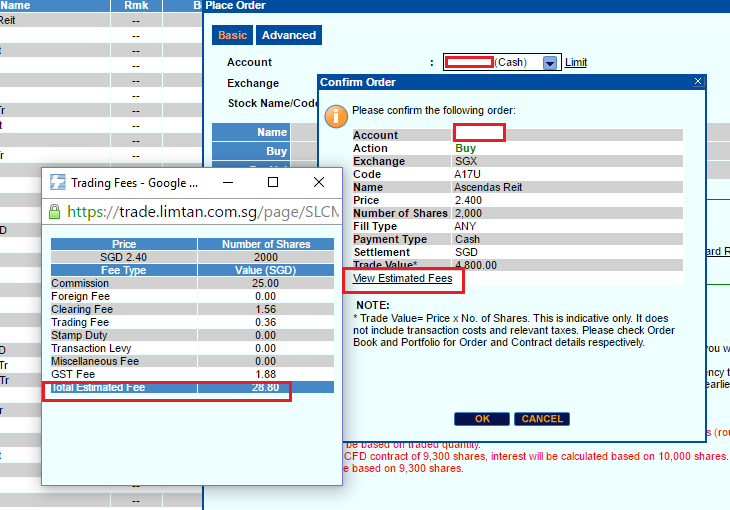 As far as I understand now, only Standard Chartered Online Trading do not have these forms of fee. In recent years, many brokerages have started their funded brokerage solutions. How they differ from the traditional brokerage process describe in the article is that instead of the broker paying for your shares first and you paying him or her back within 3 days, you fund the account first. If there is no funding, you cannot buy. In exchange, your commission rates is lower. 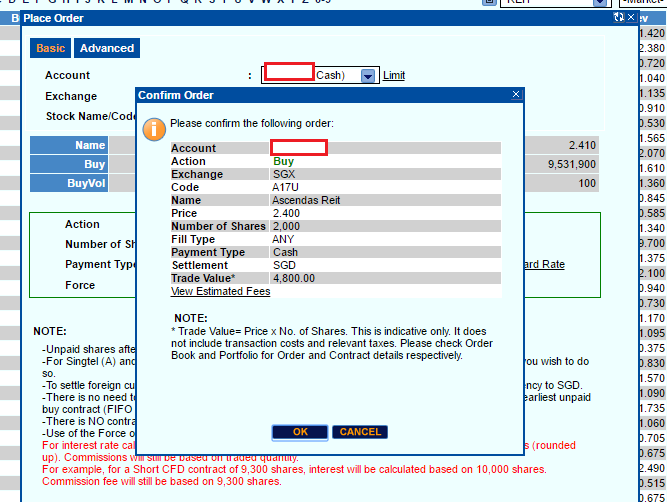 The brokerage usually charges SG$18 instead of SG$25 if the arrangement is like this. The broker takes less risks as well. The flip side is that, for local shares, your shares will be stored with the custodian of the brokerage, instead of the CDP. DBS Vickers have their own account as well. Your brokerage platform can be rather nifty in helping you track what you buy and sell through their platform. However, if you are using different platforms, and have some financial assets that you are tracking yourself, you might want more control, on a platform that you can have a holistic view. I came up with a Google Spreadsheet that updates its prices from Yahoo or Google Finance, and track your holdings based on transactions. 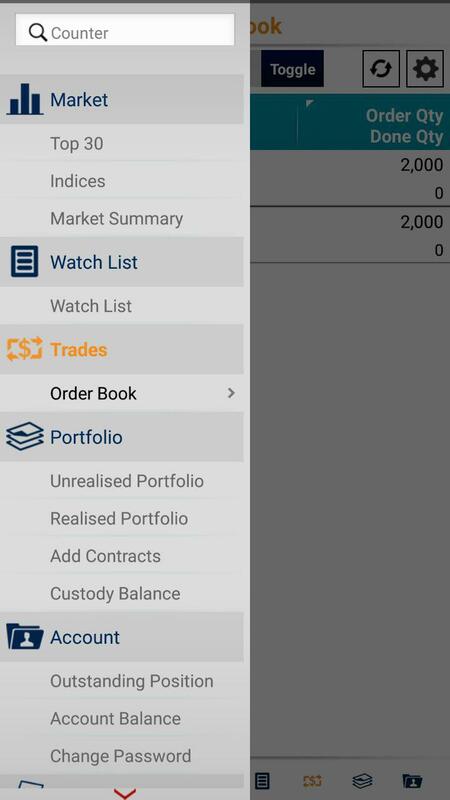 The above takes you to how I use it to track my own portfolio. From the feedback I got for the past 5 years, people really loved it. They taken and Modify it. I have show you how to buy and sell on the stock exchange. This should help you navigate your first few trades with greater confidence. But do note, I have shown you how to use the platform, it doesn’t mean this will make you money. People make and lose money buy not understand what they are doing. To build wealth machines, you need to be motivated to learn, and you need to acquire the knowledge and wisdom to build wealth. Pick up some books from the library to read. Then reflect to see if what was explained to you in the book aligns with your character. Then read and learn more. Then reflect more. Start small after that and do your best. 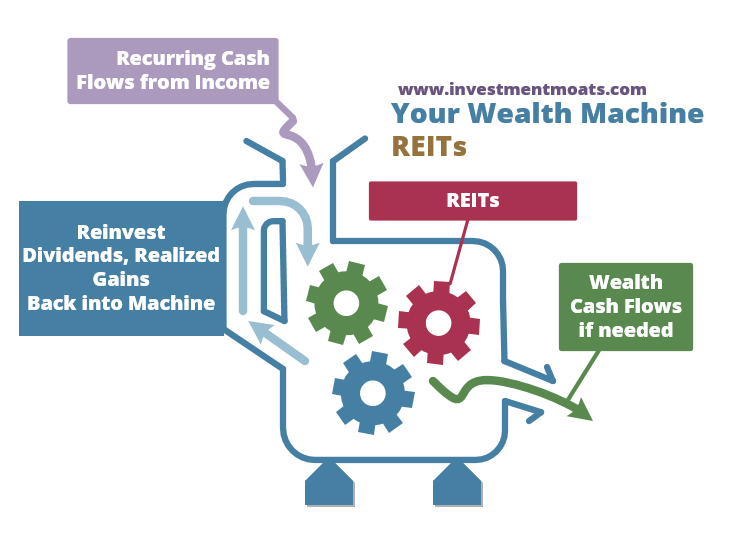 Some of you are interest in investing and owning REITs, which is a pool of properties managed by professional managers. You get a good total return over the long run. But there are various sub strategies that involves REITs as well. 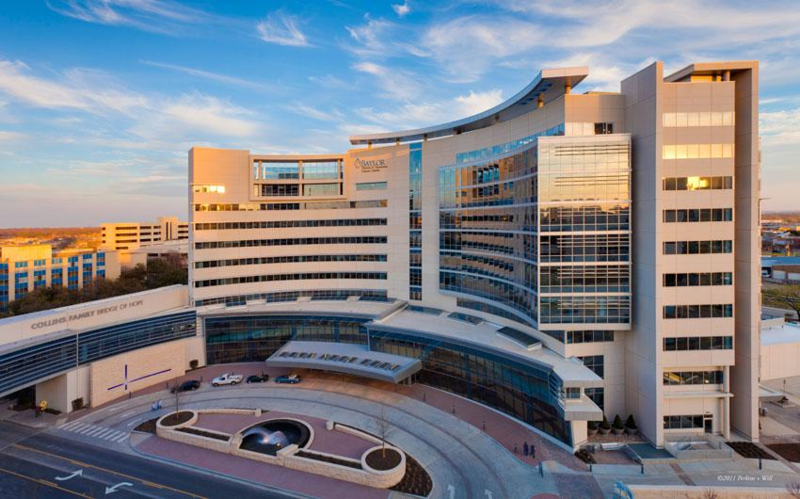 What are the key important metrics that determine REIT success? How do you navigate rights issues, share placements? Do we have some case studies? What are some of the case studies for poor performing REITs and what can we learn from them? I have a FREE section where you can learn about investing in REITs. Why my CDP account doesn’t show my transaction after I purchase my share and it’s filled? Need to wait for the broker to complete the trading first? Hi CFY, it will take some time to reflect in your CDP. This is what I notice as well. Hi.. I have some shares in Semb Corp(CPFIS) that I would like to sell off. Do I need a broker to help me sell them or is there a possibility that I can sell them myself? ..and if so, how do I go about it? before that you can call or email or message your broker, to check if you really can sell your CPFIS shares. Hi, can I use my CPF OA to purchase overseas stocks? If so, will I have to do it through a physical broker or can I apply for an online platform so that I can execute the transactions on my own? Oh no you can only purchase stocks listed on the SGX for OA. And its not all the stocks. So you do have to check with your broker before you buy the stock whether you can use CPF to purchase that.